So today I have a lovely new feature for my blog, my favourite bloggers of the month! I enjoy reading other people's blogs just as much as I enjoy writing my own, so I thought I should start sharing with you some of my favourite! I am going to interview and write a little bit about 3 bloggers per month, and I hope you enjoy finding some new blogs to read! Firstly is Robyn from The Robyn Diaries. I have followed Robyn for quite a while now and I really like her mix of outfit posts and personal posts. She is similar to me in the sense that she wears both high street and vintage pieces, and I am envious of the gorgeous clothes in her wardrobe! I love how her posts are so personal, many ending with a YouTube video of her current favourite song. Hello! My name is Robyn and I am 23 years old and I currently live in Hampshire. I started my first blog over five years ago before I even knew about blogspot. I started ‘The Robyn Diaries’ in July 2010 as I love to document things and thought it would be the perfect way to do so. I love fashion and music and wanted a place to share that with other like minded people. My blog name ‘The Robyn Diaries’ symbolizes the kind of content I post. I love to document everything so I include everything from outfits, wish lists and adventures I have been on to songs I am loving. I always kept a diary when I was younger so I started ‘The Robyn Diaries’ as an online version to share. Working for Topshop I do tend to walk out the door dressed in it head to foot far too often, however I also love vintage shops and charity shops. I really like tracking down independent shops online too and supporting them. Recently I have been coveting Waiste, Empty Casket, I Am Vibes, Roses and Clementines and almost everything from Yayer. 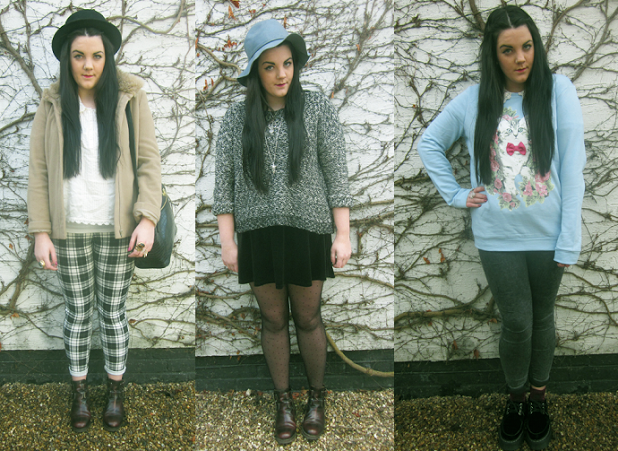 I think other bloggers have become my style icons more than celebrities as they are easier to emulate. However having said the the Olsen twins will always be a firm favourite. I also really like Chloe Norgaard’s and Amanda Hendrick’s style at the moment. Far too many to mention! The Strokes - All The Time: One of my all time favourite bands, The Strokes can do no wrong in my eyes. Fidar - Wake! Skate! Bake! : Dirty Californian pop punk at it’s finest, what more could you ask for? Bastille - Pompeii: This song is on our playlist at work and I sing along every time it comes on. Pinafores! I have three now which I adore. A burgundy one, a black denim one and a blue denim one. 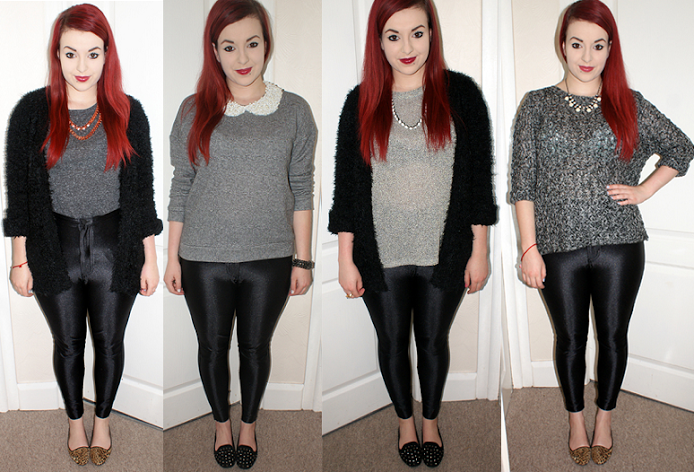 They are so versatile and look great with crop tops, jumpers and buttoned up shirts underneath. Secondly is Jaz from Jaz Xo. I have followed her for quite a few months now, and I always look forward to her outfit posts and hauls. I have very similar taste to her in the sense of clothing and accessories, and also the cute little homewear bits she seems to find! I love her simplistic outfits, with big necklaces and studded pumps. She also loves her Topshop skater dresses, which are a favourite of mine! Well my name's Jasmine but most people call me Jaz, hence the blog name! I'm 18, I live in London and I'm a Vet Nurse Assistant. My blog is a mixture of personal style, beauty and lifestyle. I also mention my rabbit Pippin a lot! I started my blog after reading various blogs a few years ago and wanted somewhere to vent my love for fashion and moan about how much I want to buy! Well the Jaz is from my name and the 'xo' is just kiss/hug in text speak so I thought that would make it a bit more interesting/catchy rather than just Jaz. I love Topshop when I can afford it for both clothes and accessories, I love H&M for jewellery, so reasonable but still great quality and if you read my blog you'll know I'm loving Primark at the moment too! There's no one that really stands out but I love Fearne Cotton's style and I love a lot of other bloggers style like Lily Melrose from LLYMLRS(www.llymlrs.com) and Emma from Milkteef (www.milkteef.com) amongst many others. Lastly is Georgia from Georgia Holly Edwards. I have followed Georgia's blog for a good few months, and I haven't once read a post I haven't loved! 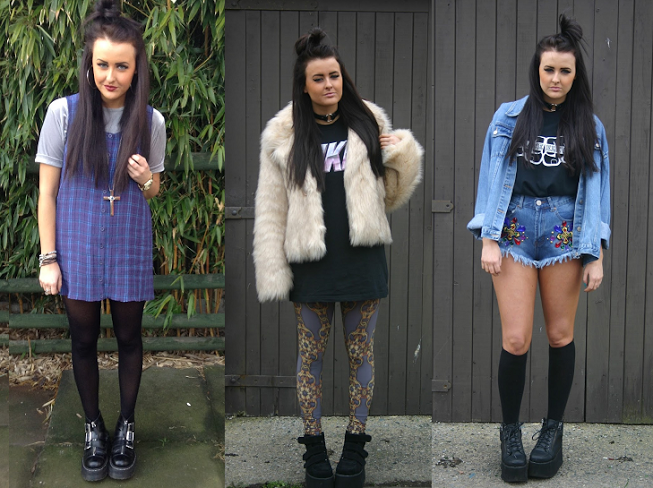 I would go as far as to say she's one of my favourite bloggers ever, her taste is just stop on! She suits every single hair colour she's tried out, and her shoe collection is amazing! Heyyy guys, I'm Georgia, I'm 19 and I live in Ellesmere Port, unfortunately. Nearish Chester/Liverpool for those interested! I think it was around a year ago I started my blog now, I started coming across other blogs and was like, well this is cool, I wanna do it! My blog names, my name. I just couldn't think of anything! Great story i know. I live on Asos, the delivery mans like my best friend, he comes to my house so much. However that's for the likes of my accessories, going out clothes and my basic crop tops and all that jazz. However Unif is the love of my life! My T-shirts are mainly from there then I love to go to charity shops to find like cool printed stuff and vintagey things. Oh and Bitching and Junkfood, fave UK brand, best shorts everrrrr! I like Rita Ora's shiz, mainly because she wears a lot of bitching and junkfood so I see what she wears through their instagram. However I really can't think of any other style icons that are famous, my style icons are bloggers. They're the ones that inspire me and they're my go to's for outfit inspiration. Which songs/song do you have on repeat recently? Everyone's that's on the big reunion atm! I'm such a sucker for all that stuff, the spice girls as well, I'm loving it all again! Which item of clothing can you not stop wearing at the moment? My Unif Playdead Tank, I just keep finding myself reaching for it in my wardrobe, I'm finding it goes with bloody everything and I need to find something to replace it with so people don't think I just own 1 T-Shirt! I love theses sort of posts, it's a great way to find new blogs to follow - I didn't know about these three ladies. It's also great to see the mix of different styles, I really love Robyn's style! Yes I love these types of posts too! I love all of their blogs and I hope you've found some new reads! I hope you've found some new reads! Aw I <3 Robyn! Georgia is a recent find for me and her outfits are awesome. I hope you found some new reads! Yeah I love finding new bloggers! love finding new blogs to stalk.